A former British intelligence chief has warned that the government’s Counter Terrorism and Security Bill could restrict freedom of speech in universities. 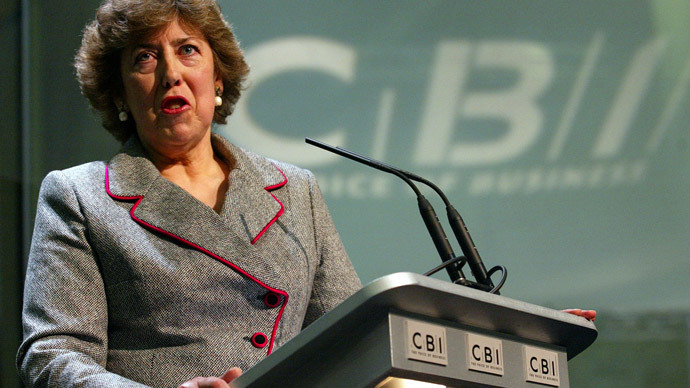 Baroness Manningham-Buller said extremist opinions need to be “exposed, challenged and countered,” rather than banned. Her comments follow a report by the Joint Committee on Human Rights earlier this month, which warned new counter-terrorism laws would “restrict” freedom of speech on university campuses. Manningham-Buller’s spoke about the Counter-Terrorism and Security Bill during a debate at the House of Lords on Wednesday. The former MI5 chief – who led the organization at the time of the 7/7 London bombings in 2005 – said Britons should not compromise their values in our fight against terrorism. “It is a profound irony in seeking to protect our values against this pernicious ideology we are trying to bar views too vaguely described as non-violent extremism, which falls short of incitement to violence or to racial or ethnic hatred or the other legislative constraints on universities,” she said. Her comments echo those made by Joint Committee on Human Rights earlier this month, which argued terms such as “extremist” are too ambiguous. Home Secretary Theresa May introduced the new anti-terror bill in November last year. Speaking at the time, she said the country was engaged in a struggle which may go on for many years. “We must have the powers we need to defend ourselves,” she said. In 2011, May accused universities of being complacent towards the threat posed by extremism. “I think for too long there's been complacency around universities. I don't think they have been sufficiently willing to recognize what can be happening on their campuses and the radicalization that can take place,” she told the Daily Telegraph. Speaking in favor of the bill during Wednesday’s debate, Lord Bates said a third of people convicted of al-Qaeda-related terrorism offences between 1999 and 2009 had attended a higher education institution. Labour peer Baroness Kennedy of The Shaws said the bill would create a “chilling effect” on academic freedom. “There is a danger of us being turned into a thought police,” he said.